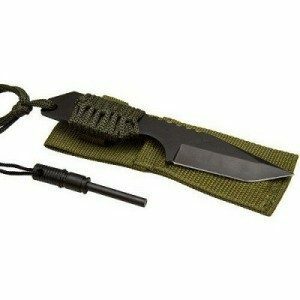 7 Inch Survival Knife With Fire Starter Only $6.49 Shipped! You are here: Home / Great Deals / 7 Inch Survival Knife With Fire Starter Only $6.49 Shipped! Don’t leave home without this if you plan on going hiking or camping! 7 Inch Survival Knife With Fire Starter Only $6.49 Shipped! A great deal perfect to keep in with your camping supplies or toss into your backpack when you head out for a long hike! Grab this and other great deals every day at 13Deals!